A standalone inventory control software makes sure there is enough inventory of every product to sell at every point. 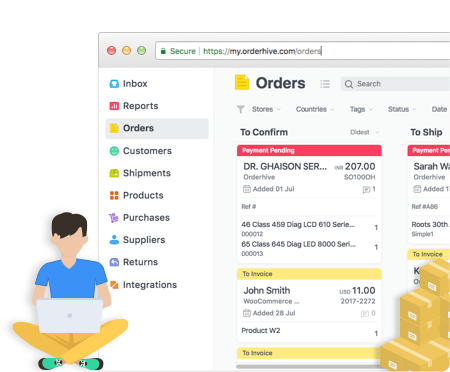 Orderhive is termed as full service inventory software because it can act as both inventory control software as well as inventory management software. Infact it can work as both combined which means there would always be enough inventory to sell, neither more nor less, and it would be exposed on all channels so that maximum sales opportunities could be utilised. Above that Orderhive is quick, barcode friendly and cost effective. Orderhive also allows you to create product variants (e.g. 4 sizes for a single SKU) and create bundled products or as we call them composite variants (e.g. selling products as a bundle). An effective stock management software to for real-time real-time inventory tracking, stock update across multiple channels, and warehouse. Orderhive’s multi-channel mapping makes it an ideal inventory tracking software to map and resolve duplicate SKUs across multiple channels you are selling on. – Solve Duplication on Shopify, ebay etc. A modern stock control system to create product bundles and kits for compound products such as dining sets, car accessories etc.